Established in 1987 by Glenn Montgomery, we have been proudly serving residential and commercial customers in the Morris and Somerset Counties for over 30 years! We believe the true success of our business can be attributed to the individualized attention and quick response we provide to our customers’ needs as well as our well-trained and professional staff. 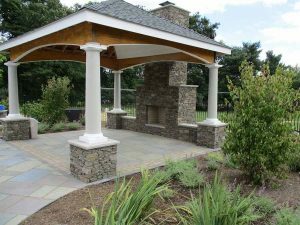 As you browse our site, take time to read about all the many specific and unique landscape services we can provide. Also, enjoy our portfolio section which demonstrates our workmanship, exceptional designs and various projects. We thank you for your interest in our company, and are confident we can be the “right” fit for you and your property. Peter began work at the age of twelve, He asked his parents for money to which he was told if he wanted money he would have to earn it. That spring he went door to door offering residents of Mendham to cut lawns for them on the weekends. Thirty years later, Peter has taken everything he’s learned and focused it into offering some of the best service and quality in the business. 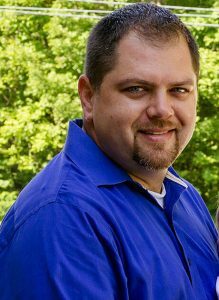 Having spent years at a select group of high end landscape companies, Peter has worked hard to learn as much as possible and been responsible for unique landscape projects, meticulous property maintenance programs and multi-year oriented construction contracts matched with high-level customer service. As a father, Peter will always be concerned with the welfare of the environment for the sake of all of our children’s future. He has added to his education by taking Rain Garden design, water conservation, sustainable landscaping and organic services classes which have led to his holistic approach to every property. ​In 2015 Peter found a place that both meets and in many ways exceeds his own expectations of what a company should do. By joining Garden State Groundskeepers, Peter brings 30 years of dedicated experience, unique insight and constant drive to make everything we do better than what our clients expect. As the new managing partner, Peter will be continuing to add to our already impressive array of services.